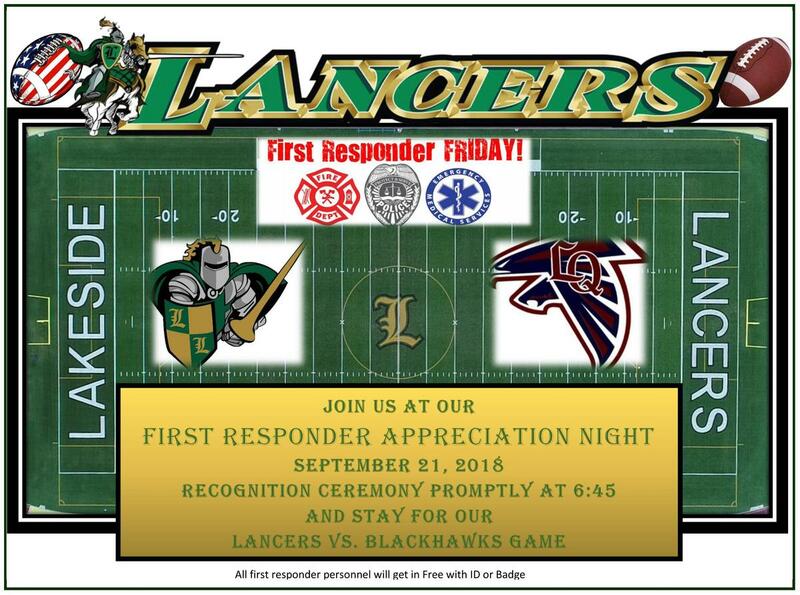 Lakeside HS Football Salutes Firefighters and First Responders on 9/21, 6:45 p.m.
As a show of appreciation and thank you, Lakeside High Varsity Football invites all firefighter and first responders to attend First Responder Appreciation Night this Friday, September 21, starting with a pregame recognition ceremony at 6:45 p.m. 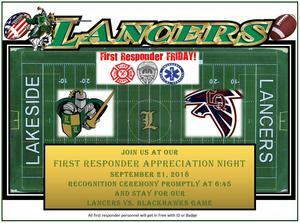 The 7:00 p.m. match-up between the Lakeside Lancers and the La Quinta Blackhawks is free to all first responder personnel with ID or badge. Lakeside High School is located at 32593 Riverside Dr., Lake Elsinore, CA 92530.